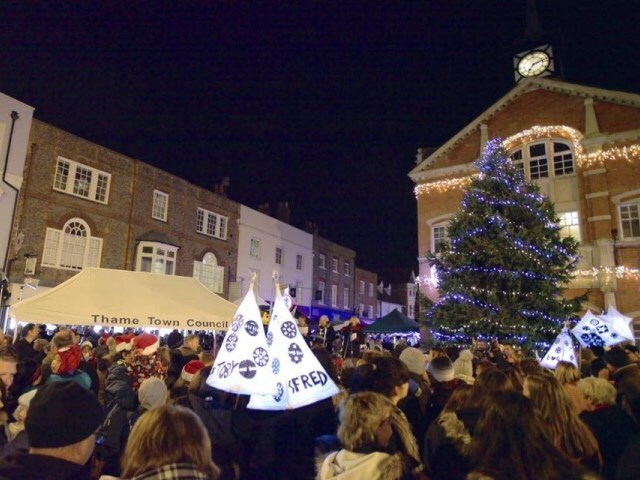 Thame Town Council is looking to involve the local community once again in the annual Christmas Lights Switch-On event in Thame which will take place on Friday 30 November this year. Residents are being invited to have their say on what attractions should be booked to attend the event. Search for the ‘Christmas in Thame’ Facebook page and comment with your suggestions on the pinned post by 31 July. Performance groups in Thame – singers, dancers, actors, and comedians – are all invited to perform at the event. Please get in touch with the Town Council if you are interested as space is limited! In order to make the event happen, we rely on the generous support of local businesses for sponsorship. Businesses can choose to sponsor a specific aspect of the event, for example the Lantern Parade, or choose a package from the Sponsorship Opportunities leaflet available via the Town Council’s website. Sponsorship starts from £50 and is gratefully received.